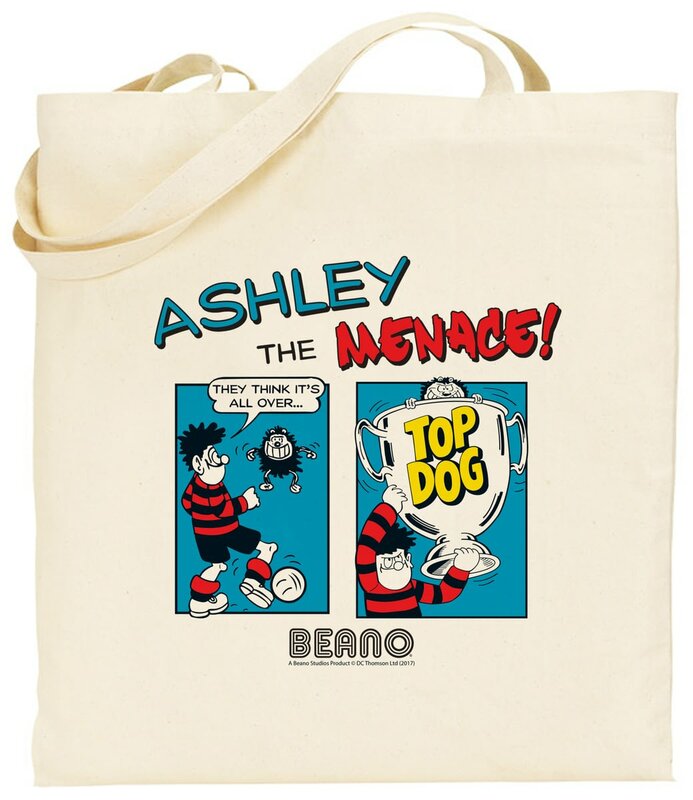 This football themed official Beano comic strip tote bag, can be personalised with any name of up to 15 characters, above the fixed text 'The Menace'. The canvas bag is made of 100% Natural 170 gsm cotton unbleached and undyed. It is 38cm x 43cm with long handles and is machine washable up to 40 degrees. This football themed official Beano comic strip drawstring back pack, can be personalised with any name of up to 15 characters, above the fixed text 'The Menace'. 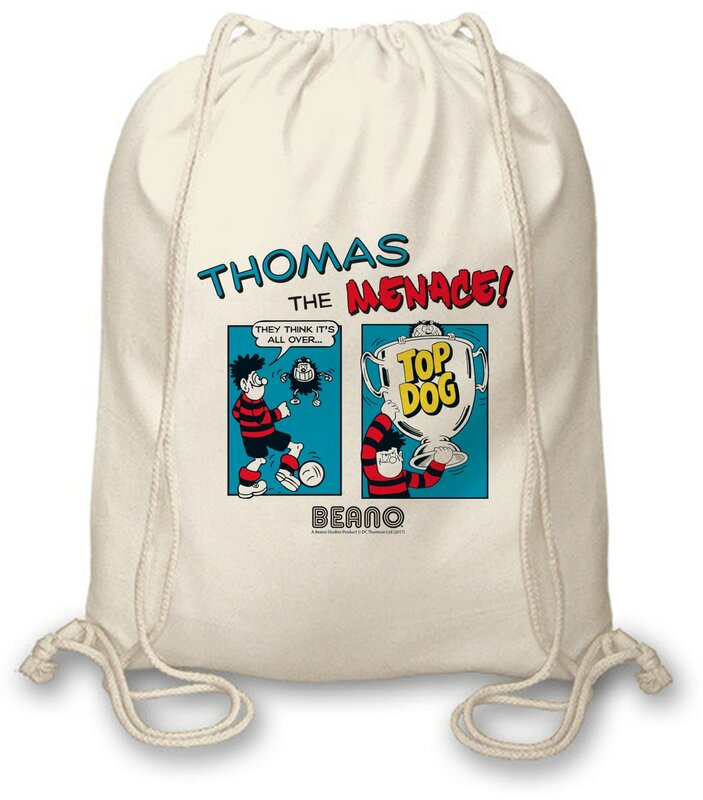 This prank themed official Beano comic strip drawstring back pack, can be personalised with any name of up to 15 characters, above the fixed text 'The Menace'.